On Saturday September 22 a group of Líĺwat elders, council members, youth, staff, as well as staff from the Provincial Heritage Branch came together to talk about Líĺwat cultural and heritage values in Whistler. Twenty-five of us got on a bus and drove to two sites in Whistler. We walked to a Culturally Modified Tree along the Valley Trail near the Meadow Park. 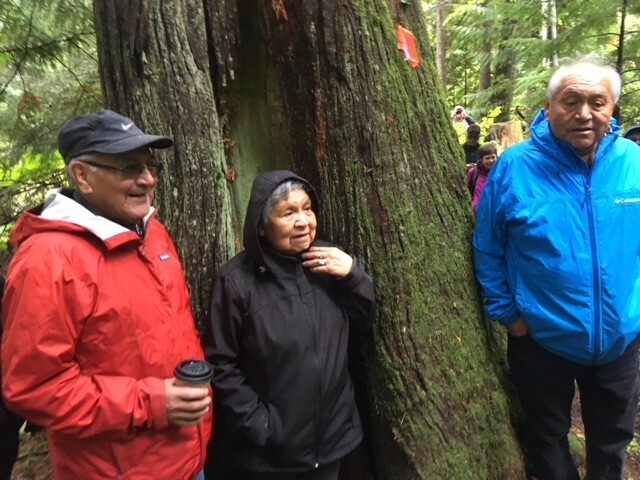 Elders reminisced about gathering the cedar bark in their youth. We also stopped at the Líĺwat Nation property at Function Junction, where construction is underway by our Líĺwat Corporation to develop a gas station and employee housing. Cultural Technician Johnny Jones talked about how Líĺwat used to corral horses here. 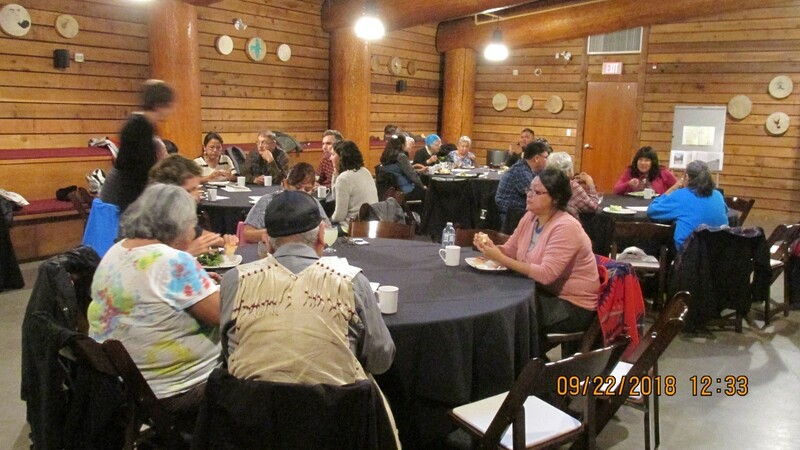 In the afternoon, we gathered for lunch and discussion at the Squamish Líĺwat Cultural Centre. We learned about spiritual sites, transformer stories, and heard elders share childhood memories about Nesters, Mons, Lost Lake, Alta Lake and other locations. 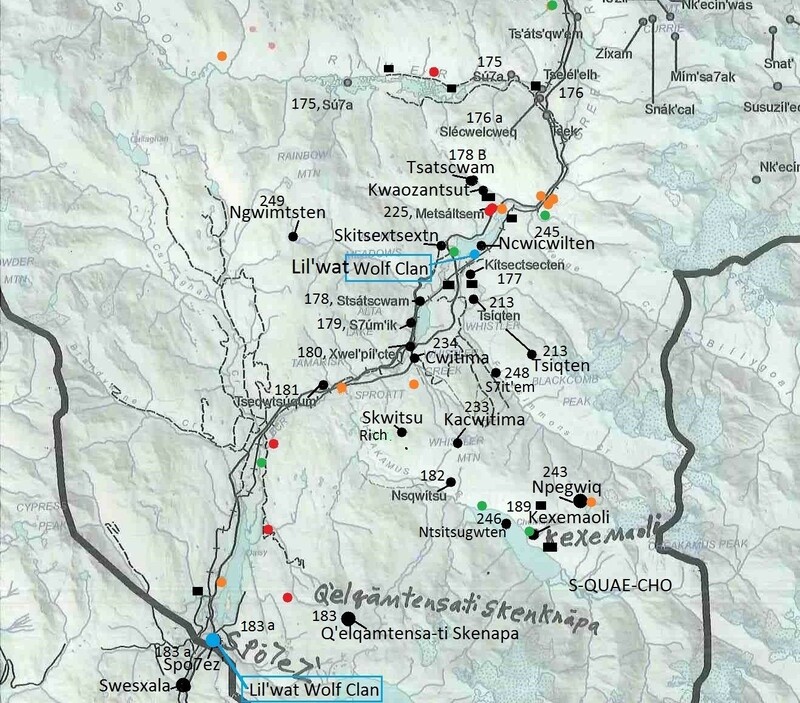 We learned about the many Úcwalmicw place names in and around Whistler.. The day was finished with songs and drumming. The Lands and Resources department will be preparing a report from the information gathered from our day and work further with Chiefs and Council to look at how Líĺwat cultural heritage values in Whistler can be protected and shared.